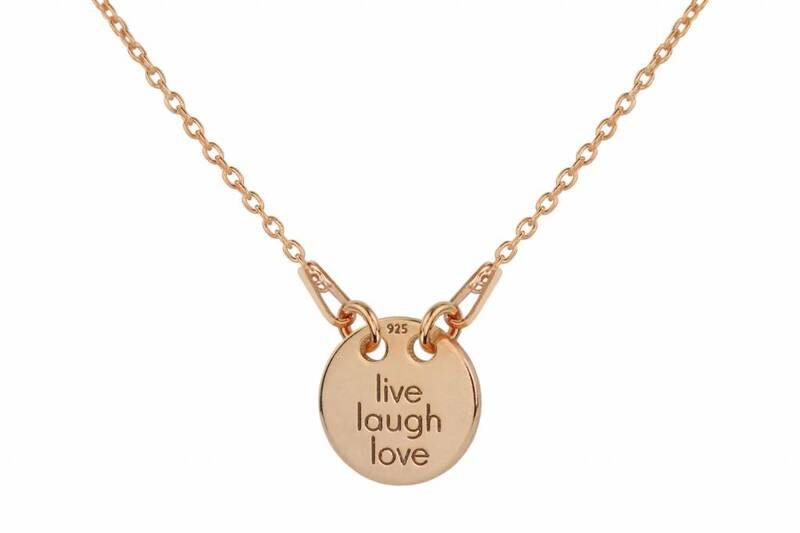 1 mm rose gold plated sterling silver chain necklace with a charm pendant with text: live laugh love. 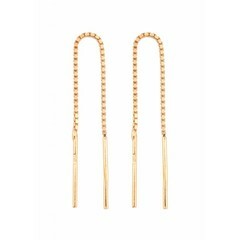 Length necklace: 35-40 cm. Pendant: 10 mm diameter. 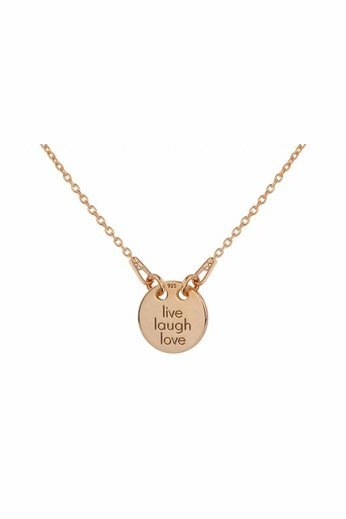 A trendy rose gold plated sterling silver necklace with a beautiful charm with the text live laugh love that you can also wear as a choker. 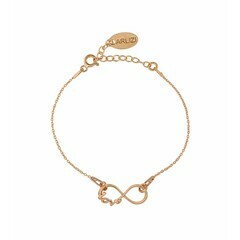 This necklace is a perfect and timeless gift. 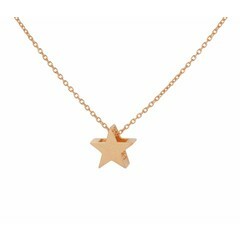 The necklace fits the minimalist jewelry trend and is fun to wear in layers with other delicate necklaces. The necklace is adjustable in length and is sent in a mat black jewelry box and gift wrapped free of charge. Order before 12.00 hrs (on business days) - shipped today!